We provide IT advisory services that enable organisations to leverage their investments both in IT and Technology enabled business initiatives to realize value through visionary leadership and committed management practises. We achieve this by sharing our expertise and selection of appropriate techniques and tools that are fit for purpose to support IT Governance, Solution Delivery and Service Management. We are well positioned to support businesses by deploying subject matter experts in Forensic Data Analysis, BI, and ERP application implementation and optimization. We also help organizations with transformation of business processes through Digitilisation. To support transitions or bring about a step change in services’ quality or costs, our interim management offering provides assistance in managing IT operations with a clear focus on desired objective. This offering complements IT departments’ capabilities during times of increase in demand or transformation for improved utilization of resources by training on and embedding of desired behaviours. 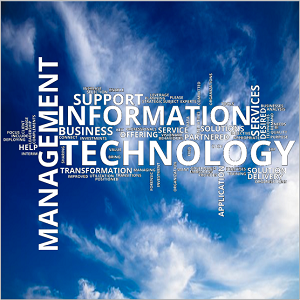 If you want to find out more about how we can help your organization with their Information Technology needs please click here to connect with our IT professionals.